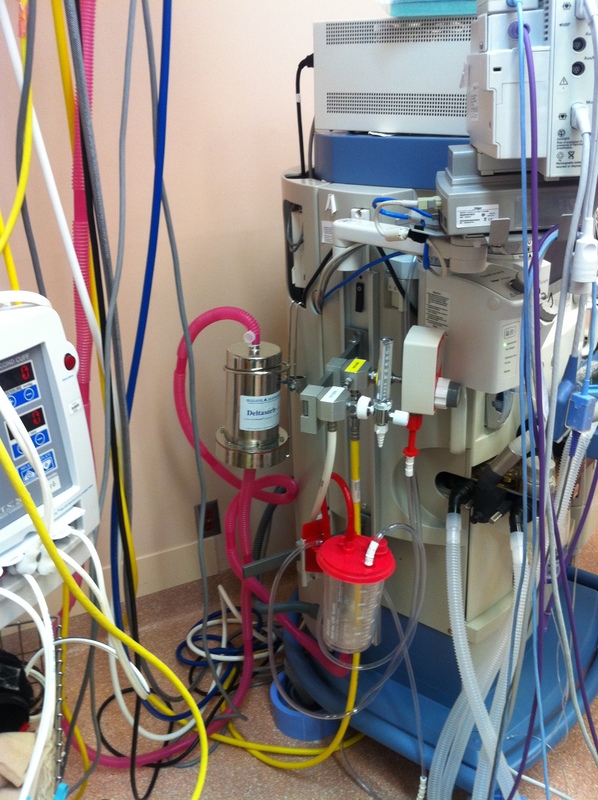 It is a little-known fact that the typical hospital operating room is a major greenhouse gas emitter. The mostly unwitting masked environmental “villains” are the highly trained anesthesiologists who dispense a unique blend of volatile gases designed to render patients unconscious for surgery. Anesthetic gas poses two problems, however. The gas mix is difficult to deliver effectively so most of the gas is wasted and ends up in the atmosphere. Typically only about 5 per cent is absorbed by patients. As well, anesthetic gas, described as “stable and very aggressive,” acts as a greenhouse gas on steroids, 3,766 times more powerful as a heat-trapping gas than is carbon dioxide. 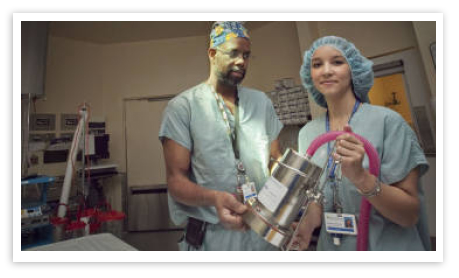 Elihu Henry, Clinical Practice Leader, Anesthesia Assistants and Beverley Townsend, Manager of Environmental Sustainability, both from Sunnybrook Health Sciences Centre, hold up Blue-Zone Technologies' Deltasorb Canister, which captures anesthetic waste. This very real problem motivated anesthesiologists at Toronto’s Sunnybrook Health Sciences Centre to seek out a technological fix. They found it in Blue-Zone Technologies Ltd.’s “Deltasorb” canister system, which captures the unused anesthetic before it is released into the environment. In the five-year period up to September of 2009 that the gas-grabbing system has been installed in its 21 operating rooms, Sunnybrook estimates that it has prevented 634 tonnes of CO2 equivalent – about the same amount of gases coughed out by 205 fuel-efficient cars over a one-year period – from entering the atmosphere. Blue-Zone's solution is a made-in-Canada solution to this issue. The company regularly collects “used” gases at its plant in Concord, Ontario. There, it extracts and liquefies them. The liquefied product is then used as a raw material to produce new anesthetics. 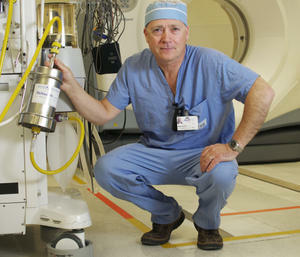 “We’re reducing our environmental impact,” said Beverley Townsend, Sunnybrook’s manager of environmental sustainability. While it is a pioneer when it comes to the recycling of nasty greenhouse gases, the hospital is not prepared to stop there. It just installed a 100-kilowatt photovoltaic solar power system with a larger 370-KW system coming this year.